Do you need a fast and affordable fence as quickly as possible? Whether you are looking to enclose a residential or commercial property, chain link is the fast and affordable fencing option. You can find chain link fences all over the city, thanks to their simplicity and affordability. Some chain link fences are permanent, and others are temporary. 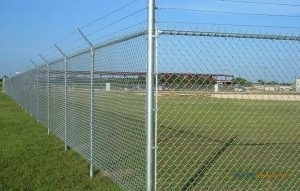 If you are looking for reliable chain link fence installation in Dallas, TX, give us a call today at 817-948-4503! Our expert contractors have years of experience in fence installation as well as fence repair, and we are happy to help you choose the ideal fence for your property. There are many benefits to choosing a chain link fence. While they are not considered the most beautiful of fences, they are often the most convenient. Inexpensive and easy to assemble, chain link fences are used to perform a variety of essential jobs, including protecting restricted areas from unwelcome visitors, and safely enclosing pools. These fences are available in a variety of heights and can be fitted with different tools designed to increase the safety of your property. for example, coiled barbed wire can be added to the tops of chain link fences, and some are even fitted with tops that are also designed to deter climbers. Another great benefit to chain link fence installation is that once the fence is installed, it requires very little maintenance. 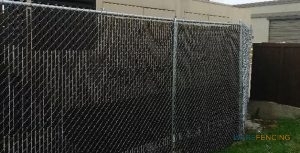 Chain Link Fencing Can Also Offer Privacy With The Proper Screen. Here at Ware Fencing, we stock several different material options for our chain link fences. The type of material you need depends on the type of installation you are looking for, meaning that for a permanent fence, you will want to choose higher quality materials. Over time, some chain link fences can end up cut by vandals, or plain rusted, so if you find yourself in need of chain link fence repair, be sure to give us a call at 817-948-4503. Whether you need to fence in your home or a construction zone, you can count on us for affordable and quality chain link fence installation in Crowley and Fort Worth, TX. We are dedicated to providing superior customer service, and we have years of experience with all kinds of fence repairs, fence replacements, and fence installations. Call today! Updated on September 20, 2018 at 8:56 am by Ware Fencing.